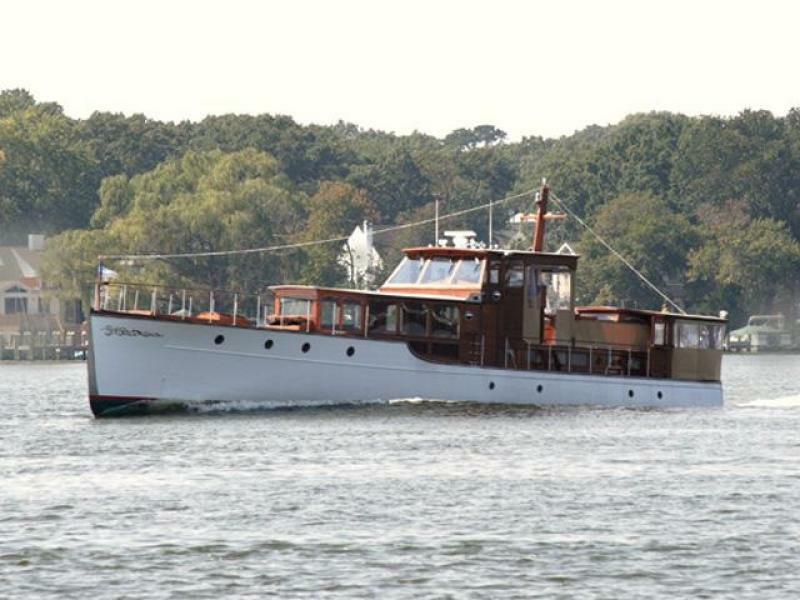 Preliminary Listing: more pictures and specs to follow Rare opportunity to own a revered classic American commuter yacht built by the high quality Nevins yard in City Island NY and designed by John H. Wells. 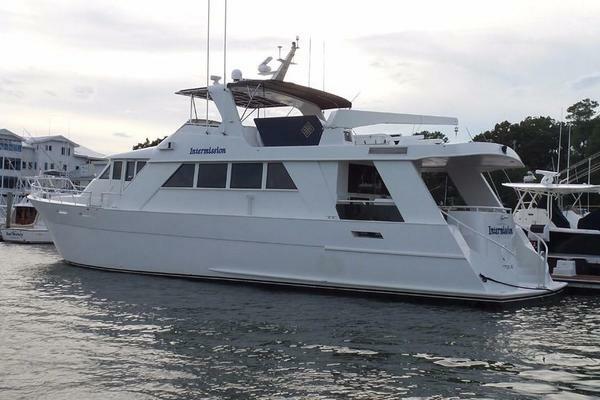 This successful charter yacht is being offered for sale for the first time in many years and presents an unusual opportunity to acquire not only a Classic American Motoryacht, but also a yacht that has been modernized Throughout with 21st century amenities such as WIFI, modern galley, bow and stern thrusters, young Caterpillar 3406's, etc. 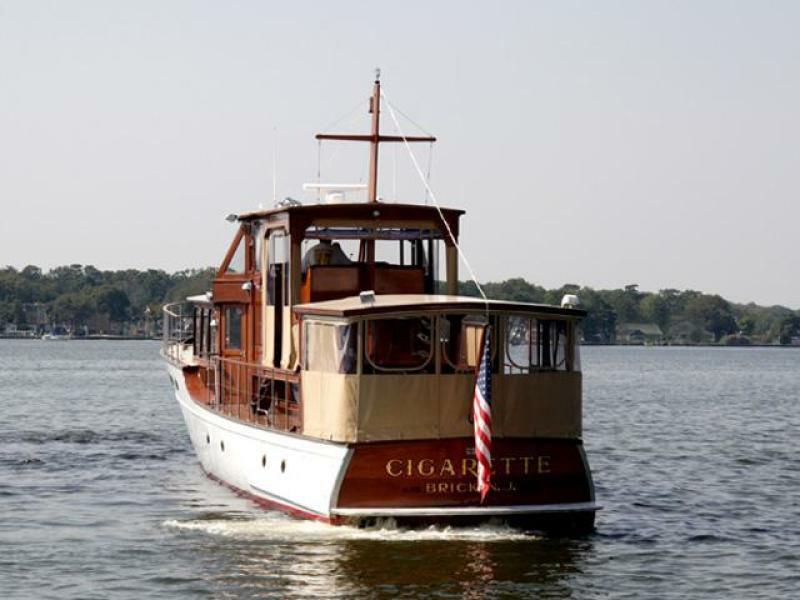 Cigarette would be perfect for either a charter operation or luxurious private cruising use. 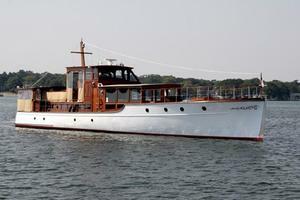 She is a must see for anyone looking for a superbly crafted unique classic yacht that's both a head turner and runs beautifully! Call today to arrange a viewing. 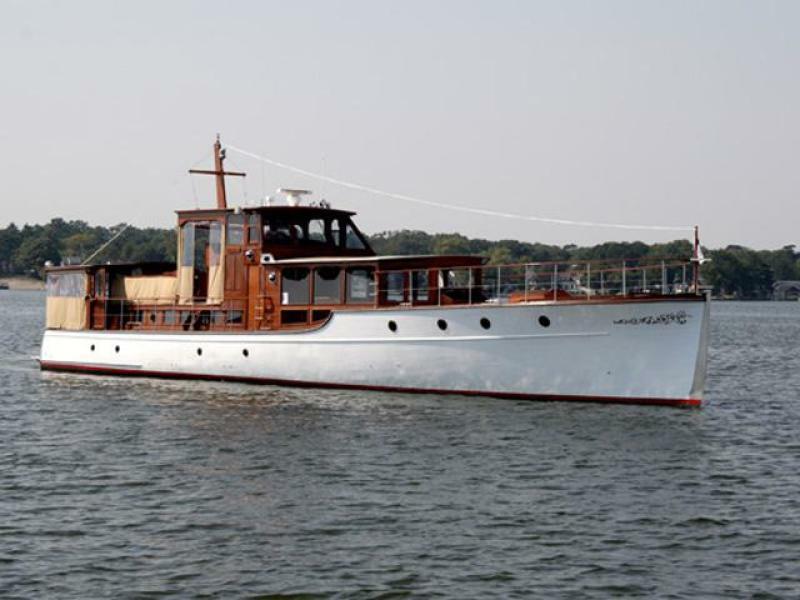 United Yacht Sales New Jersey would love to guide you through a personal showing of this 75' Custom 75 Commuter Yacht 1928. 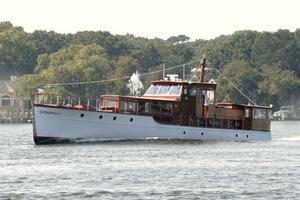 This yacht for sale is located in Brick, New Jersey and priced at $798,000. For a showing please contact us by filling out the form on this page and we will get back to you shortly! Large Salon features custom mahogany paneling throughout the room. This room also has a custom leaded glass china cabinet with wet bar. 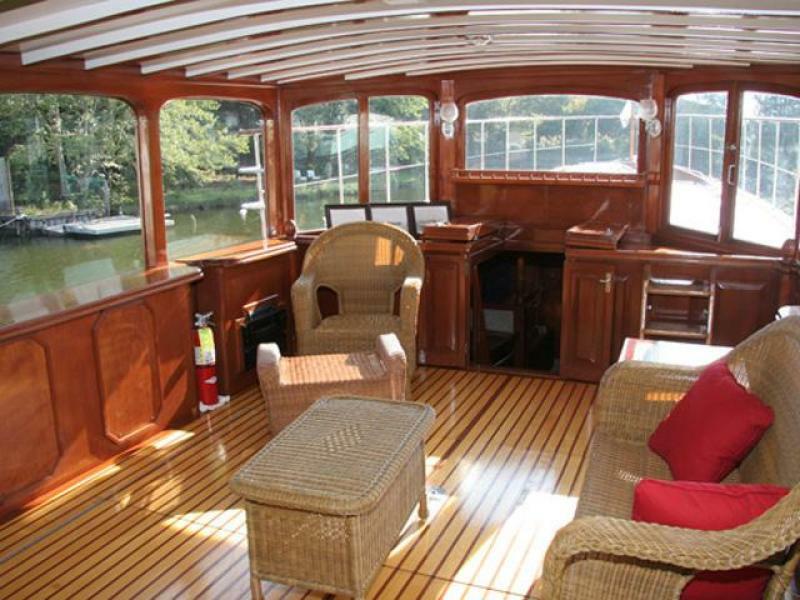 Salon sole is custom mahogany and holly flooring throughout. Also featured is custom antique lighting with dimmer switches throughout the room. The room boasts wicker furniture and antique coffee tables further enhancing the classic feel. Custom draperies cover large picture windows throughout the salon. The ceiling is custom with white beams covered accented with rich mahogany cornices throughout. 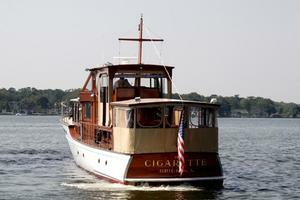 Cigarette boasts a galley that would rival most homes. She has G.E. Profile appliances that are stainless steel. Microwave, electric stove and oven. There is also a stainless steel Bosch dishwasher as well as a wine refrigerator and ice maker. 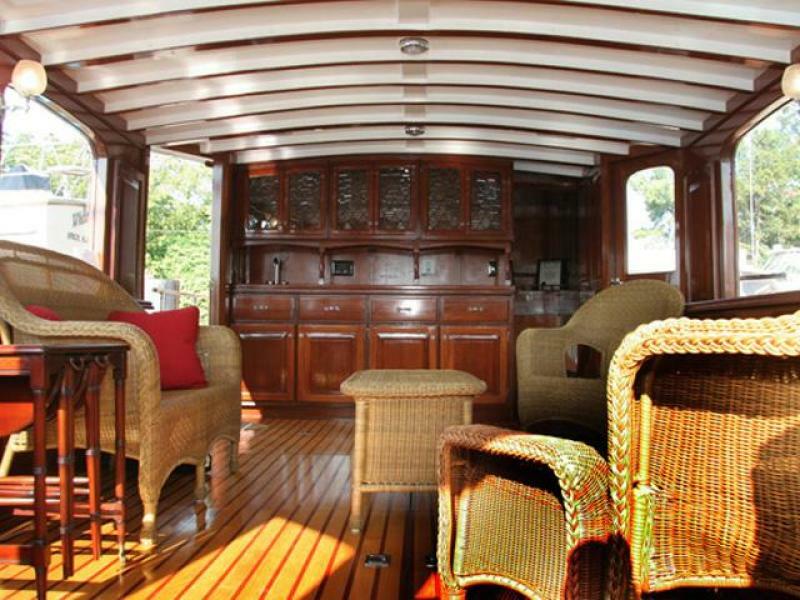 There is plenty of counter space that can also double as sleeping quarters for the crew. All the way forward there is a head with toilet and sink. Fluorescent lighting along with12 volt lighting. In the crew area there is a custom folding ladder that will allow you access to the foredeck. 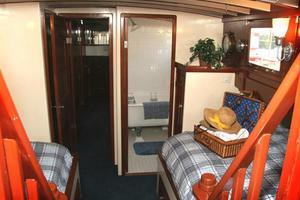 The master stateroom has two double beds one on the port side and the other on the starboard side. The master stateroom has a full length mirror, carpeting throughout. Antique lighting as well as 12 volt lighting. There is a hanging closet to the starboard side. 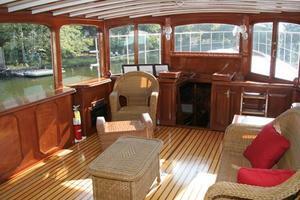 There is a private doorway leading to the aft enclosed deck. The master head features a full cast iron claw foot tub. The walls are fully tiled to match the floor. There is a mahogany mirrored medicine cabinet along with storage spaces located on either side of the porcelain sink. Single stateroom with a washer and dryer located in a custom cabinet. To the left there is a custom seating area with a large mirror and desk. Below the berth there are three mahogany drawers for storage. There is custom antique 110v lighting with a 12volt backup light. Across the companionway from starboard stateroom there is another single stateroom with custom antique 110v lighting with auxiliary 12 volt lighting as well. There are custom bed cushions and carpeting. 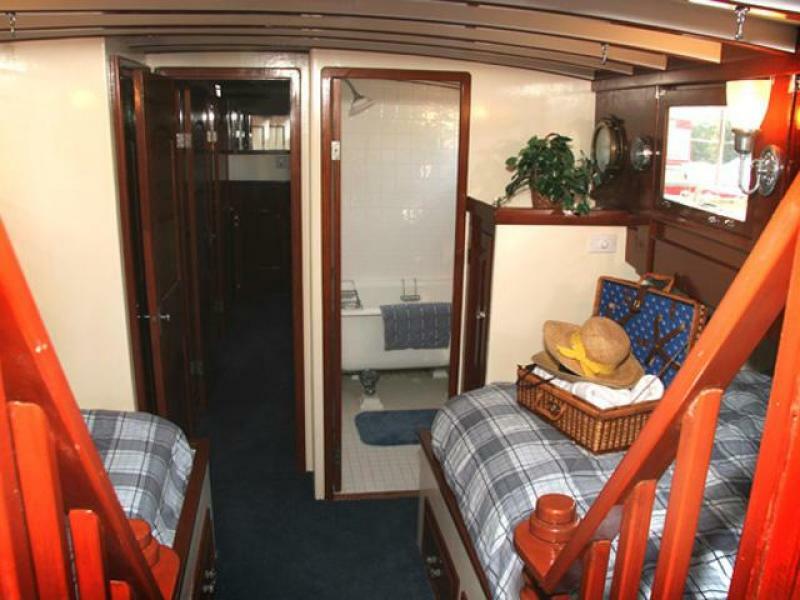 Aft of the single staterooms is a head that contains a shower with antique shower head and handheld showerhead. There is also an antique fold down porcelain sink. There is also custom tile and a mirrored mahogany medicine cabinet. This is an enclosed seating area in the aft section of the yacht. There is a custom mahogany bench that spans the aft section of the yacht that can be converted into a bed. The floor is all teak. There is 12 volt lighting for nighttime entertainment. 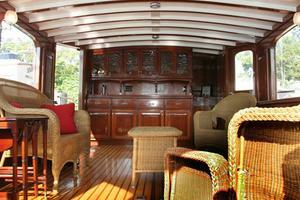 The sole is varnished teak decking and the ceiling has white beams with mahogany cornices. There is custom mahogany paneling with 4 custom doors. The area is enclosed with a three sided eisenglass enclosure with u zips. 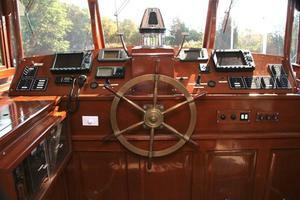 Connecting the dog house and foredeck are two custom teak decks running fore and aft on port and starboard as well as two custom handrails that adorn the decks. 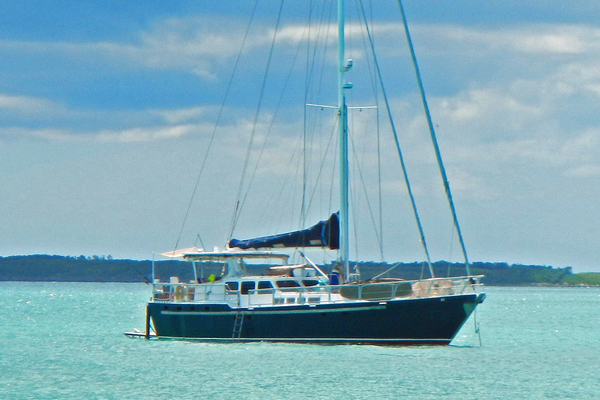 Foredeck is a large forward area great for entertaining. There is an anchor locker located at the foot of the forward cockpit. There is also a freshwater wash down for the anchors. This area features custom LED lighting as well as a retractable windshield. 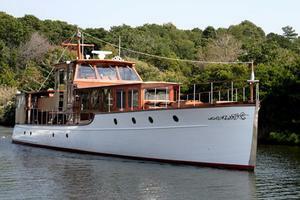 There is a custom mahogany railing that supports both sides of the yacht with custom mahogany burgee pole at the fore. 4 custom electrical panels for 110 power a 12 volt. Palm Beach single lever controls. (2) 50 amp power inlets. 3 windshield wipers with variable speed. Windshield with hardtop and eisenglass sides and back. Two stereo speakers with volume controls. 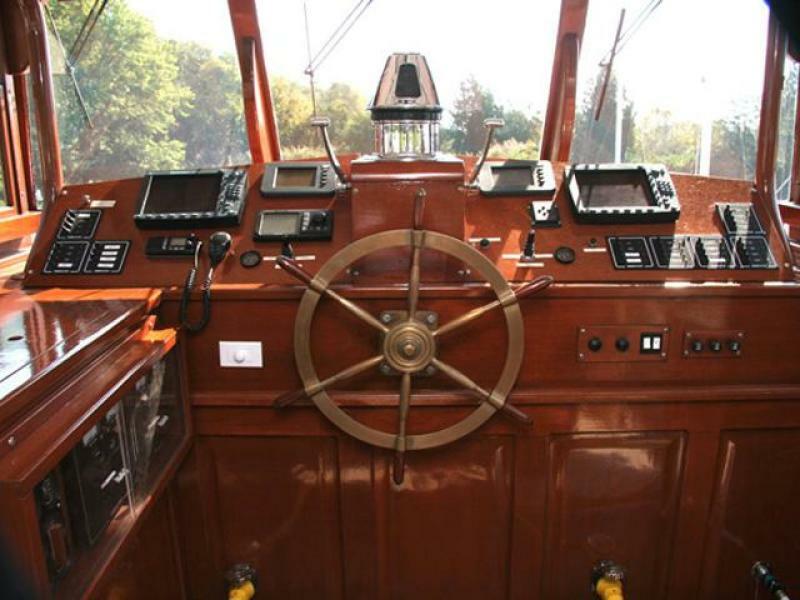 Behind the helm is a seating area with a custom mahogany table with a custom cigarette inlay. This seating area will sit six comfortably for eating al fresco. This table and bench seats can be removed easily. 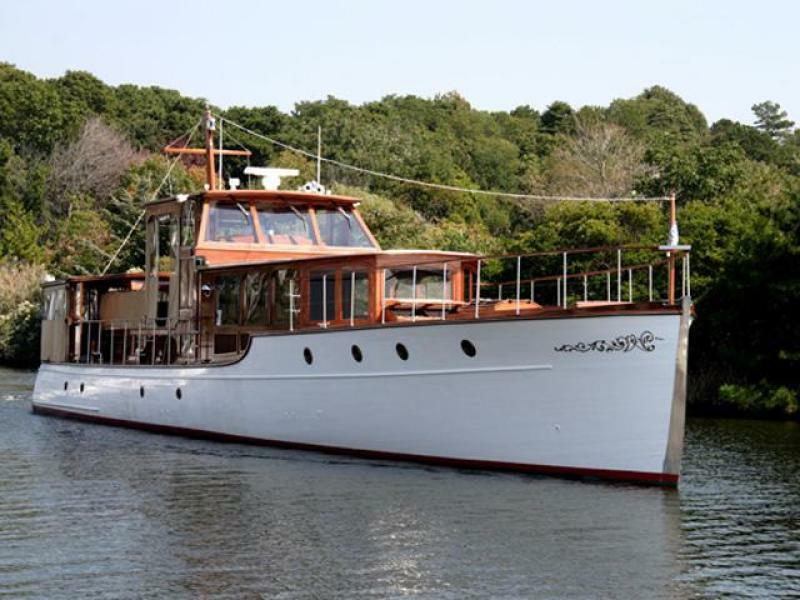 There are two custom mahogany handrails adorned in canvas. There is a custom cover for this area when not in use. Twin 3406 e cat diesels. Under 450 hrs. Show package all chrome pipes. New pencil zincs on motors. Generator room can be accessed through the salon floor or the small door in the rear hallway. 12 gallon tank for hydraulic system. Dual pre fuel filters on each engine. Dual engine room fans fresh air for turbo chargers. Two pillow blocks for shafts.